Sphingosine-1-phosphate (S1P) has a role in transpiration in patho-physiological signaling in skeletal muscles. The present study evaluated the pre-conditioning efficacy of S1P in facilitating differentiation of C2C12 myoblasts under a normoxic/hypoxic cell culture environment. Under normoxia, exogenous S1P significantly promoted C2C12 differentiation as evident from morphometric descriptors and differentiation markers of the mature myotubes, but it could facilitate only partial recovery from hypoxia-induced compromised differentiation. Pretreatment of S1P optimized the myokine secretion, intracellular calcium release and energy generation by boosting the aerobic/anaerobic metabolism and mitochondrial mass. In the hypoxia-exposed cells, there was derangement of the S1PR1–3 expression patterns, while the same could be largely restored with S1P pretreatment. This is being proposed as a plausible underlying mechanism for the observed pro-myogenic efficacy of exogenous S1P preconditioning. 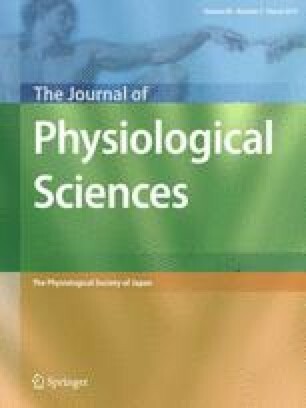 The present findings are an invaluable addition to the existing knowledge on the pro-myogenic potential of S1P and may prove beneficial in the field of hypoxia-related myo-pathologies. The online version of this article (doi: 10.1007/s12576-016-0518-4) contains supplementary material, which is available to authorized users. The authors are thankful to the Director of DIPAS for supporting this study. This work was funded by the Defence Research and Development Organisation (DRDO), India [Grant No. S & T-09 DIP-251 A 2. 3 (AB)]. The authors acknowledge DIPAS, DRDO, the University Grants Commission (UGC) and Council of Scientific and Industrial Research (CSIR), India, for providing the necessary facilities and funding for this study. The article does not encompass studies conducted with human participants or animals.